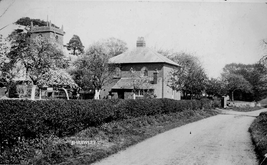 The Shrawley school in 1841 and 1851 was situated in Church Cottage next to the Church and in 1841 Hannah Steel aged 65 was the school mistress. By 1851 Robert Hill and his wife are the school master and mistress. The Village school was founded in 1860 as a one roomed school plus accommodation for the teacher, by the Vernon family. 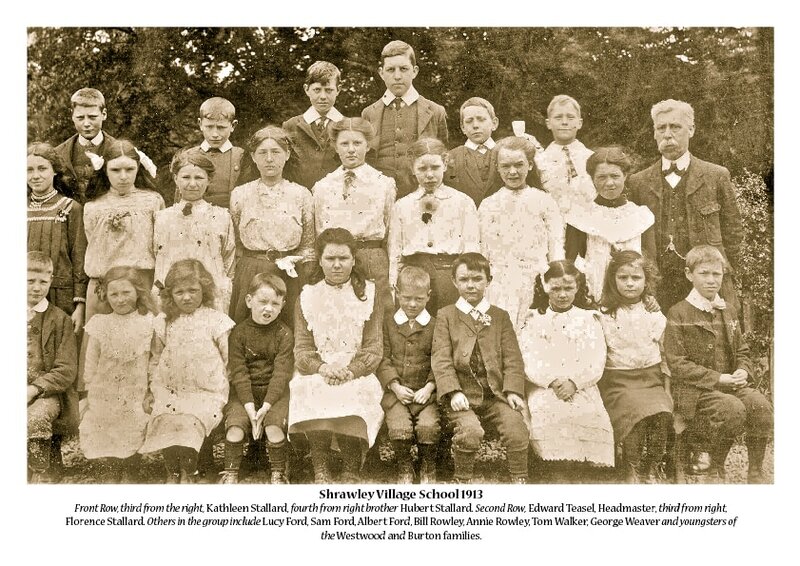 In or around 1894 the school was extended, by adding a smaller classroom for the younger children and a girls cloakroom and toilets for the boys. According to the 1871 census Eminia Pirouet a Certified Mistress had her address as The School’ Shrawley. In 1881 Maria Hough, born in Luton was the the Headmistress with Florence Hiborn as a school teacher. By the 1891 village census had Edward Teasel aged 38 as the school master with his wife Maria, also listed as a teacher and living in the School House, and in December of that year they had a daughter, Elsie Edwina. The Teasels had moved to Shrawley from Soothill near Dewsbury. We know from the 1911 census that the Teasels were still at the school. In 1903 the Chairman of the school was the Rector W.F Vernon with a small committee. It was decided to appoint an infant mistress at a salary not exceeding £50 p.a. The cleaner was paid 30 shillings a quarter and the school room could be hired for 5 shillings for parishioners and 10 shillings for outsiders. Any entertainment had to be vetted by 3 of the committee. There were further modifications in 1911. In the 1871 census Eminia Pirouet a Certified Mistress had her address as The School’ Shrawley. In 1881 Maria Hough, born in Luton was the the Headmistress with Florence Hiborn as a school teacher. In 1905 desks were supplied and a new pitch pine floor was laid with the price not to exceed £8. Two years later there was a problem with overcrowding and was deemed that to help the situation some of the more backward children (no more than 6) were to be kept back in the infants room. Average attendance in the main room was 57 and 21 in the infants. In 1909 Mr Allan was now chairman and there was talk of extending the school. 1910 saw quotes from four local builders. Rev.W.F.Vernon chairman of the school passed away. Elsie Teasel was appointed as a trainee teacher at £25 p.a. In 1911 the decision was taken to start the extention in June, Vales of Stourport having won the contract at £258. J.B.Frith is now Rector and on the committee. In December a new infant teacher Miss E Gardener started at £45 p.a. Mr DA Neems retired school correspondent, Rev. Frith voted in as chairman and correspondent. Coal was supplied to the school at £1 per ton, Miss Teasels salary increased to £30 p.a. Vales called back to fix leaking roof. In 1917 Rev. Frith resigned as he was drafted as Chaplin to the Forces and Rev TV Evans who was the temporary priest in charge was voted on to the committee to replace Rev. Frith. Insurance was taken out for the school against damage caused by aircraft, £1500 cover for £1.10.00. Mr Teasel became 65 on the 8th January 1918 when his teaching certificate expires, but Mr Allan strongly recommended that this be extended to the start of the summer holidays. We believe that the Teasels retired to Droitwich.